500 grams organic, vegan friendly Seeds Of Change Spinach Trotolle. Allergy Advice: For allergens see highlighted ingredients. 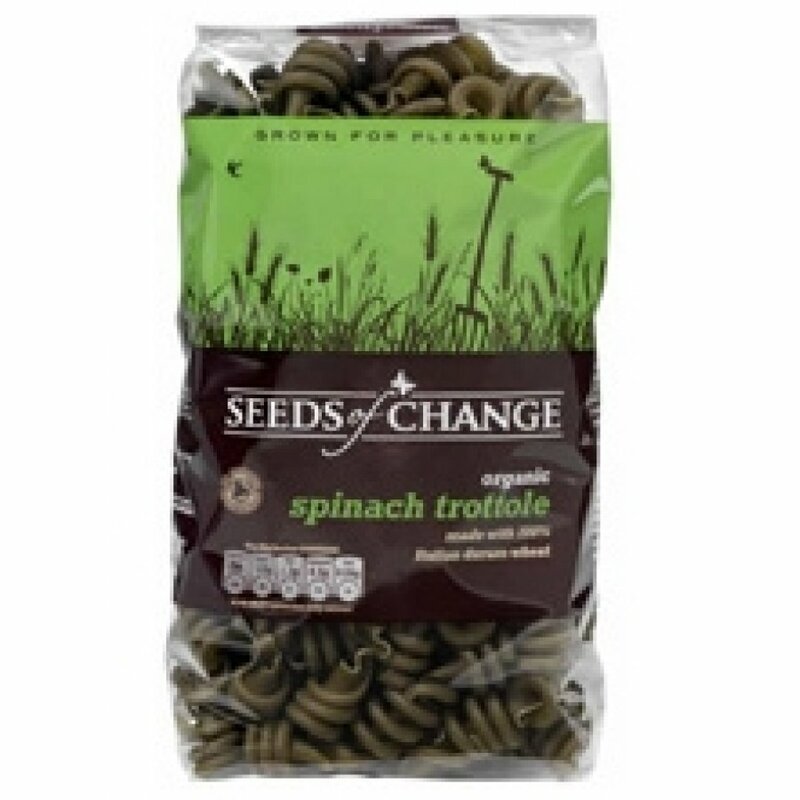 The Seeds Of Change Spinach Trotolle Pasta - 500g product ethics are indicated below. To learn more about these product ethics and to see related products, follow the links below. Great to be able to buy Fairtrade pasta. Tasty end product! Love it, makes excellent cold pasta salad for lunch too. 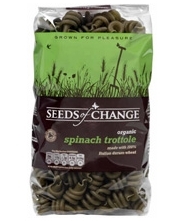 There are currently no questions to display about Seeds Of Change Spinach Trotolle Pasta - 500g. Seeds of Change began life in 1989 in Santa Fe, New Mexico as a small seed company concerned about our environment and offered gardeners and farmers a range of 100% organic seeds. Since then it has grown and in 1999 brought its expertise to the shores of the UK where it has developed a range of great tasting sauces, soups, pasta and more! The range brought to you by Seeds of Change is free from anything artificial and has been certified organic by the Soil Association.